As the next pit stop in time looms ahead, yours truly is feeling a wee bit chuffed up. Wodehousitis appears to be spreading far and wide. Conventions are taking place. Exhibitions are getting organised. Meetings of Wodehouse fans are happening all over. Scholarly articles are popping up. Books containing some juicy narratives are getting dished out. Blue-blooded royals are peeping out of their cocoons and confessing their love for the Master Wordsmith of our times. Fans are travelling to different continents and engaging with all things Wodehousean. Flowers are in bloom, birds are chirping, God is in heaven and Homo sapiens appear to be headed in the right direction. Here is a delightful post from a fan Down Under. He sauntered across to UK recently, and caught up with the kind of goofy and not-so-goofy things happening there. Anyone who has an affinity with the English language and happens to be in London would be well rewarded by braving the crowds and paying the moneylenders at Westminster Abbey just to visit Poets’ Corner. You’ll be able to sit there for a while, among the slabs of stone and the pompous statues commemorating many of the greatest exponents of our tongue, and ponder why it is that in a place given over to tombs and memorials for kings and queens, heroes and saints – in, as many believe, the presence of God – mere dreamers and story-tellers should be elevated to holiness in a place of their own. “There is no surer foundation for a beautiful friendship than a mutual taste in literature,” said P.G. Wodehouse. Well, someone of my dubious literary intelligence cannot claim to know what exactly defines literature. Allow me, therefore, to take the argument a bit further and surmise that a common love for some selected authors could prove to be a good foundation for a bond of friendship to evolve and develop. This is precisely what I rediscovered recently, while on a short visit to the City Beautiful of India – Chandigarh. 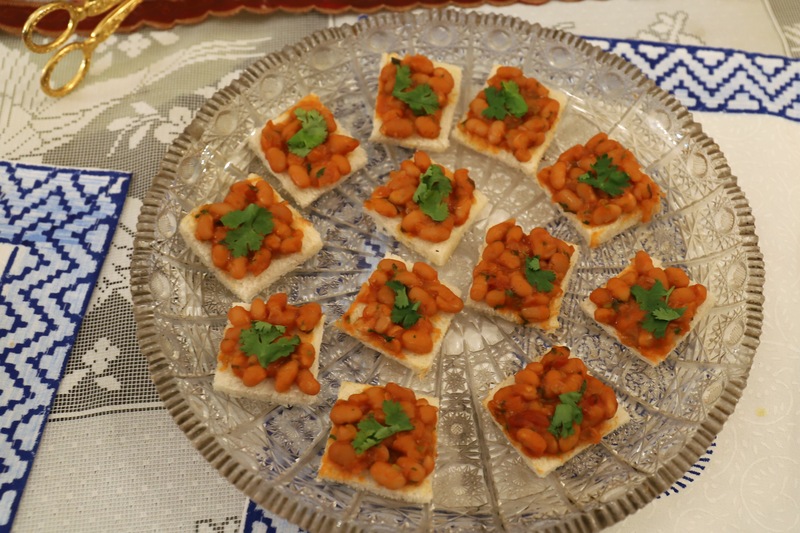 The basic idea was to chew some fat together with some other fans of P G Wodehouse in the city. 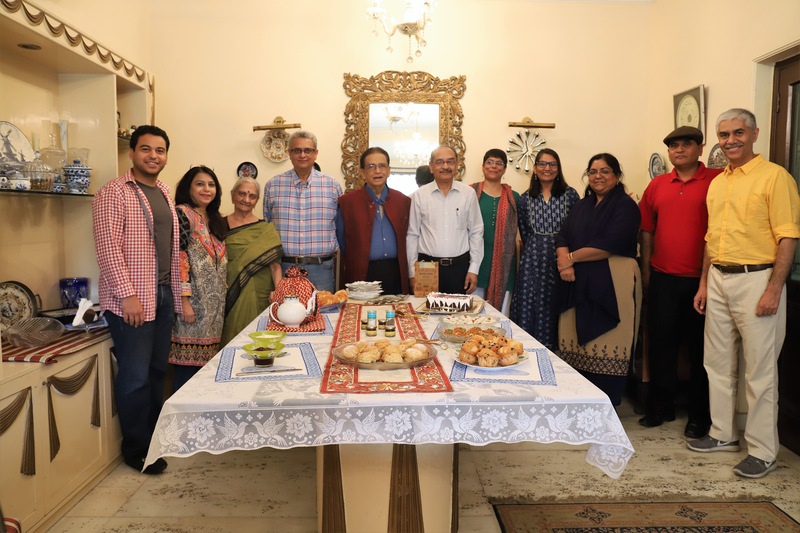 But the Guardian Angels, ostensibly concerned about my cholesterol levels, directed me to the lair of Prof. Ashwini Agrawal, with whom a simple cup of tea, accompanied by some savouries, facilitated the creation of a bond which is sure to develop into a long-lasting friendship in the years to come. Any discussion about Plum remains incomplete without his fans gushing over his use of the English language, his unique turn of phrase, the relentless lampooning of the British aristocracy in his works, and the sharpness with which his characters, whether human or otherwise, get etched. His dazzling wit comes in for praise, as does his scintillating humour. Our meeting was no exception to this general rule. Besides Plum, several authors whose works we both had devoured in the past got discussed. The breezy whodunits dished out by James Hadley Chase came up for discussion. So did the erudite works of Arthur Hailey and Irwing Wallace. 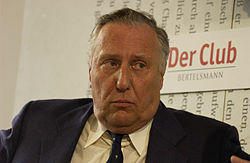 The meticulous thrillers of Frederick Forsyth got covered. Many other authors whom both of us admired in the past found their way into the brief discussion we had. Some challenges got discussed. Getting the young millenials to read itself topped the list of concerns expressed. To attract their attention to Plum’s works came in a close second. The scheme mooted at the New Delhi meet of Plum’s fans – that of launching a matrimonial website which would facilitate bonding between two souls of which at least one happens to be a die-hard fan – was considered a good solution towards ensuring that the genes of Wodehousitis get passed on to the coming generations. Professor Ashwini Agrawal rued having recently lost a great collection of his books, including those of Wodehouse, to the vagaries of imperfect plumbing in a portion of his house. As a renowned archaeologist who specializes in Numismatics, he also has a room overflowing with books of professional interest. Joshi, another Plum fan based in New Delhi. Those of you who follow my blog posts may recall her having played the role of Gladys Biggs at the last gig in the metropolis, held on the 11th of November, 2017. Like Switzerland, Chandigarh also hides its Plum fans rather well. One hopes that this post might ferret out a few more who reside in the City Beautiful. This could pave the way for a Drones Club to come up there, so those aspiring for an Olympic medal for throwing of bread crumbs may get some well-deserved practice and even those aiming to get a Grammy for a boisterous rendering of Sonny Boy might get a platform to showcase their skills. The Royal Academy of Goofy Technologies hereby invites nominations for its annual awards meant to spread the affliction of Wodehousitis all over our planet. Taken effective steps during the year to introduce their wards to the pleasures of reading the works dished out by P G Wodehouse. Developed syllabi which make learning at school fun, inducing students to read humorous books, especially those from the canon of the Master. The continuous giggling, guffawing and laughing out loud moments at school must comprise at least 25% of the total number of hours spent by them within the walls of the institution they happen to be a part of. Introduce the works of P G Wodehouse in the college level curriculum for all streams of education. Have managed to get ‘What ho!’ declared a national greeting. Have taken steps through proper channels to popularize the use of such phrases as ‘Oh, rather!’, ‘Pip pip’, ‘Capital, capital’, and the like. 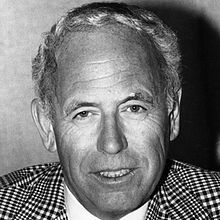 Bachelors or spinsters who have lobbied hard and achieved demonstrably good results to get their pals to draw soul mates who have Wodehousean leanings, thereby perpetuating the genes of Wodehousitis. Nephews and nieces who have done the bidding of their aunts and undertaken such delicate missions as sneering at cow creamers, stealing cats and pinching such objects as policemen’s helmets and umbrellas. 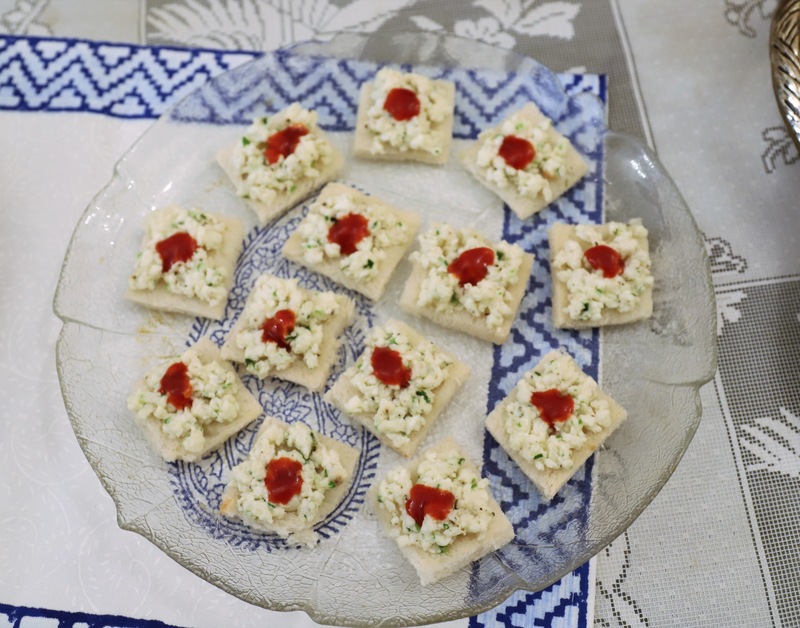 Those who have earned an enviable reputation about their culinary skills and are considered God’s gift to the gastric juices in their immediate social circles. Organized visits by Wodehouse fans to interact with their students. Hosted debates and essay writing competitions relating to such eminent characters as Lord Emsworth, Reginald Jeeves, Rupert Psmith, Mr Mulliner and Sir Roderick Glossop. Organized field visits by their wards to read out Plum’s short stories and books to senior citizens in the area. Persuade their managements to stock books of P G Wodehouse in their libraries. Held special book reading sessions and related promotional events, motivating students to read more of the Master’s works. Encouraged students for book swaps involving Master’s works. Local students who have done well, whether in academics or in their extracurricular activities. Patients, specifically those in the maternity wards in nearby hospitals. Hospices and senior citizen homes in their area. Keep a track of local literary scene and organize get-togethers, howsoever modest. Whenever visiting a different country/city, they take steps to meet up Plum fans there. Promote humour at their place of work. Persuade hassled superiors and colleagues to relax at the end of the day with Plummy audio books, possibly when commuting between their homes and offices. Promote matrimonial harmony at all costs and under all circumstances. Read a Wodehouse book when the wife/kid is around; when caught falling off their sofa/bed and when asked as to what is up, they mysteriously reply ‘nothing whatever’ and keep the book back on the shelf. When chuckling or guffawing, they encourage family members to cover them on a video which, when played to unsuspecting friends and relatives, arouses curiosity and jealousy, thereby promoting the works of the Master. Creation of audio visuals directed at the weary eyed youth of today, promoting Plummy narratives in a shorter and crisper manner. Likewise, animation short promos for the same purpose. 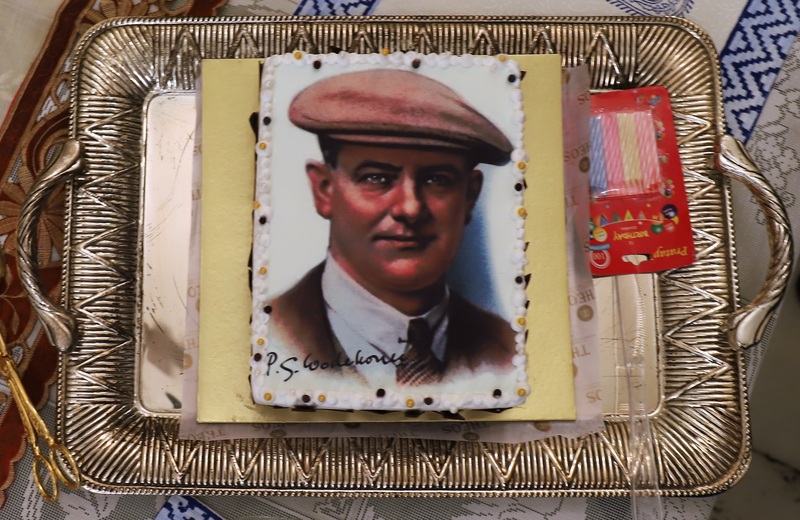 Promote a string of movies based on the narratives of P G Wodehouse, capturing the relevance of wisdom contained in his works for contemporary issues faced by humanity. Launch a news channel which would broadcast only cheerful news, by way of an antidote to the stressed lives many of us lead. For those who have had the gumption to address students in nearby schools, colleges and university departments, introducing them to Wodehousean bliss, whether at prize distribution ceremonies or otherwise as guest lecturers. For bloggers, writers and authors of all hues, who have published blogs, articles, books or book reviews concerning anything Plummy. For social entrepreneurs who have set up innovative start-ups with the sole purpose of spreading joy and cheer all around. For brainy coves who come up with juicier suggestions to ensure a sustained spread of the virus of Wodehousitis. Nomination forms can be downloaded from the official website of the Royal Academy of Goofy Technologies. Each nomination must be proposed and supported by at least 10 members of any of the following: (a) Members of any recognized society of Plum’s fans, and (b) Members of any of the prominent groups of Master’s fans on such social media platforms as Facebook. The nominations received shall be scrutinized by an eminent panel of seven members comprising such experts as Lord Emsworth, Sir Watkyn Bassett, Aunt Dahlia, Aunt Agatha, Roberta Wickham, Stiffy Byng and Honoria Glossop. The decision of the jury shall be final and binding. The more the thoughts dwell on the fate of Wodehousitis in the decades to come, the more the soul recoils in horror. One peers into the future, and shudders at what one sees there. Most youth of today are blissfully ignorant of the sunlit valleys of Plumsville, where rivulets of subtle humour offer a gentle reprieve from the stress of an incessant exposure to social media. Where roads are lined on both the sides with trees which offer low hanging fruits of eternal wisdom. Where characters offer solutions to such delicate challenges in life as handling loopy soul mates, diet-obsessed girl friends and spouses, obdurate aunts, thrifty uncles, moody pigs, overbearing dogs and sleepy cats. Unless prompt steps are taken through proper channels now, the epidemic of Wodehousitis may soon become a part of folklore, confined to the dustbins of history. A singular characteristic of this affliction is that it passes from one generation to the next. It follows that if steps are taken to facilitate its inheritance, better results may ensue. Stocking all editions of all the works of P G Wodehouse on our book shelves could help. Ensuring that the technical gizmos lying around in our humble abodes carry some of the juiciest stories in the canon could help. Occasionally replaying some episodes of the movies featuring Bertie Wooster and Jeeves could make the younger ones in the family sit up and take notice. Gifting appropriate books to those in the family way could help. At a recent meeting of the Master’s fans in New Delhi, India, the germ of another idea popped up – that of identifying potential soul mates with Plummy leanings for the young ones who are yet-to-be-affianced. It was felt that even if one of the parents carries the Wodehousean gene in his/her chromosome, the coming generations would be likely to lead happier and fuller lives. If the parent belonging to the tribe of the delicately nurtured caries it, the drive to make Wodehousitis sustainable might yield better results. One way of initiating a search of this kind could be to come up with matrimonial advertisements which actively seek life partners suffering from the dreaded affliction of Wodehousitis. Here is a draft which could be refined and sent across to various sites which offer matrimonial services. “A well-bred professional, a male rabbit of about 27 winters, well endowed in physical and materialistic terms, is on the lookout for a soul mate who is a gentle and mild dormouse with whom he could settle down peacefully and nibble lettuce. The aspiring soul mate would be expected to be smart, intelligent and well read. Specifically, the party of the first part strongly believes that those familiar with the works of P G Wodehouse would make an ideal party of the other part. What the party of the first part intends to bring to the proposed union is a modern notion of chivalry. Opening car doors and holding chairs is passe. Instead, the emphasis would be on sharing household responsibilities and in providing soulful companionship. All possible endeavours shall be made to ensure that the party of the other part never misses her afternoon cup of tea. Ability of the party of the other part to think of goofy schemes to ward off those who prey on the millions of the party of the first part would be preferred. So would be those who have strong entrepreneurial leanings, much along the lines of Joan Valentine and Sally. Spending some quality time together while gazing moodily at the stars would be encouraged. But espousing theories about God’s daisy chains and fairies would be discouraged. Skills which keep invading cousins, aunts and ex-fiancees away from the home and hearth would be greatly admired. So would be the ability of retaining cooks and maid servants in the face of stealthy moves by scheming aunts who refuse to be gentlemen. Costs of adequate medical insurance shall always be a part of the household budget. This would cover any damage to limbs caused by the cup of mirth brimming over while reading together a work of the Master and one falling off from a sofa and rolling over on the floor, and any such eventualities. The party of the better part shall be encouraged to pursue her own professional career. It is expected that the pocket-money meant for the party of the worse part would get dished out without any hesitation or remorse. Nor would its usage be ever questioned or doubted, thereby supporting the sporting spirits of the party of the worse part. It may kindly be noted that the party of the first part shudders at the prospect of swimming a mile and then playing five sets of tennis post lunch on weekends. Also, an improvement in one’s intellect is not on the agenda of the proposed union. It is hoped that the party of the better part would keep such sensibilities in mind and refrain from using softer tactics to get the party of the worse part to abide by her wishes. Both parties would enjoy equal rights in terms of occasionally spending time with their own circle of friends at clubs and in other social circles. Valets and house maids who are members of clubs which insist on keeping records of juicy goings on in the lives of either of the parties shall not be hired. Members of the tribe of the delicately nurtured who happen to be pure padded cell from the foundations up are discouraged to respond to this missive. It is hoped that when either of the parties faces one of Life’s harsh slings and arrows and is twiddling her/his thumbs trying to cope with a challenge, the other one would rally around and act like a Jeeves, marshalling not only his/her keen intelligence but also a deep understanding of the psychology of the individual. The intended purpose of the proposed union is not only to enjoy life long companionship, especially at an advanced age when the lining of the stomach poses unique challenges to the parties concerned. It is also about little feet pattering about the home – feet which support a head which is steeped in Plummy thoughts and a heart within which sloshes an abundant supply of the milk of human kindness. The union would be expected to produce offspring who will inherit the combined Plumminess of both the parents. Offspring in the vicinity of whom human life would not be under any threat. Bright kids who might be goofy but shall not seriously endanger the peace of mind of the nurses, the governesses, the private-school masters and the public-school masters who will eventually take on the responsibility of looking after a blend of the parties of the better and the worse part. Travel is highly educational, said Jeeves. That is how it turned out to be when plans to visit New Delhi, some 2,200 kilometres away from where yours truly normally pollutes the environs, fructified. An innocuous post on the Fans of P G Wodehouse page on Facebook led to some fans of the Master in the National Capital Region (NCR) deciding to meet up on 11.11.2017. The infamous Delhi smog singularly failed to dampen the spirits and many ardent fans of Plum in NCR landed up at the gig so very graciously hosted by a young man in spats, a management professional who happens to be based in Canada but was visiting his family in India. Lord Emsworth, the grandfather of the young man, presided over the boisterous proceedings. 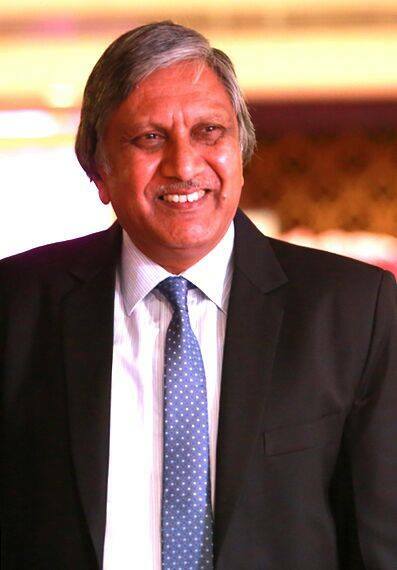 An eminent bureaucrat in his hey days, he happens to be a devoted Plum fan. He turned out to be quite far from being woolly headed, and ensured that all the guests who had descended on his castle felt absolutely comfortable and at home. Lady Mildred Mant, the daughter of Lord Emsworth, proved to be a genial host. Her attention to detail and the standard of hospitality on display might have prompted Jeeves to undergo a refresher course under her in the art and science of entertaining guests. 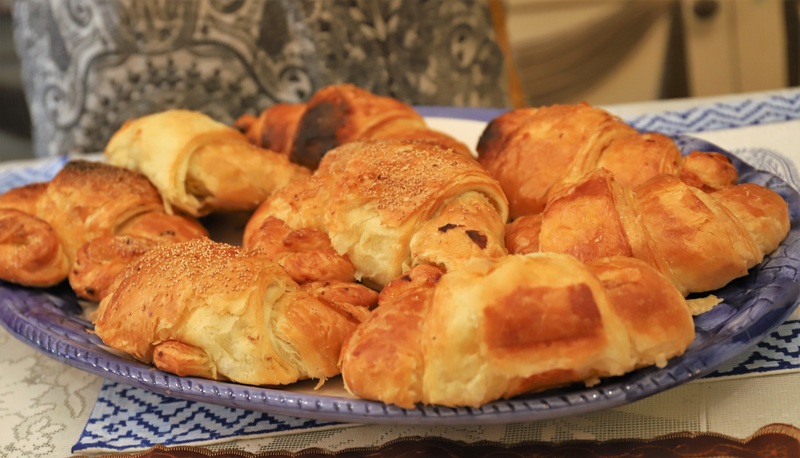 The theme of the gig was ‘Eggs, Beans and Scones’, since Lord Emsworth and the family found that the local bakeries were clueless as to what Crumpets stood for. A leaner version of Beach, the butler, kept shimmering in and out, providing nourishment to all and sundry. Stiffy Byng showed up, somewhat annoyed at not being able to detect any chance of launching one of her goofy schemes. In the absence of any policemen in the vicinity, and missing the Harold Pinker of her life, she decided to go in for a safer option – that of bringing a quiet and dignified charm to the gig. 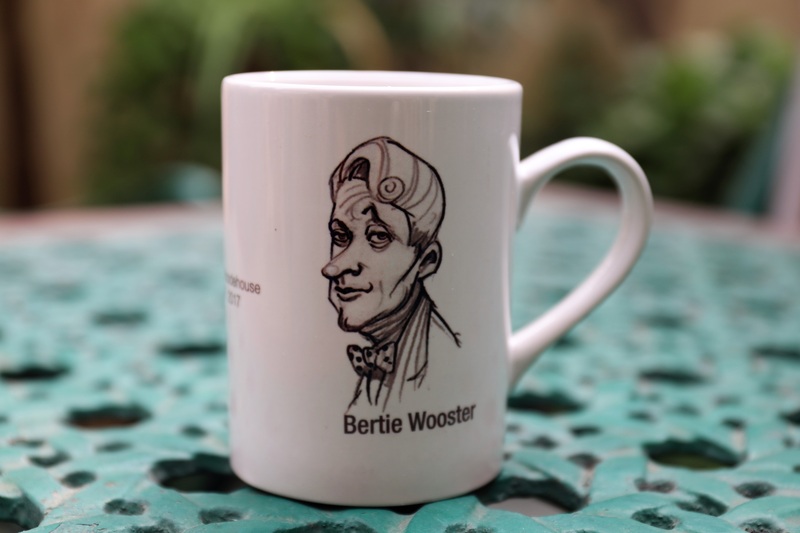 Bertie Wooster popped up, with Cousin Wilmot in tow. He brought in a black forest cake, with a portrait of the Master adorning its top. The portrait ensured a restricted calorie intake for all present. Only a small strip at the bottom of the cake, comprising Plum’s signatures, was eventually consumed. The rest was gobbled up by potential fans in families elsewhere who made polite enquiries regarding the identity of the person before shoving in large helpings down the hatch. Aunt Dahlia marched in and proved to be a charming companion. Having been a Governor of several educational outfits in the league of Market Snodsbury Grammar School, she displayed exemplary restraint and did not address any one of those present as blots on the landscape or as worms. The huge parcel which she brought in was presumed by those present to be having copies of the latest editions of Milady’s Boudoir. 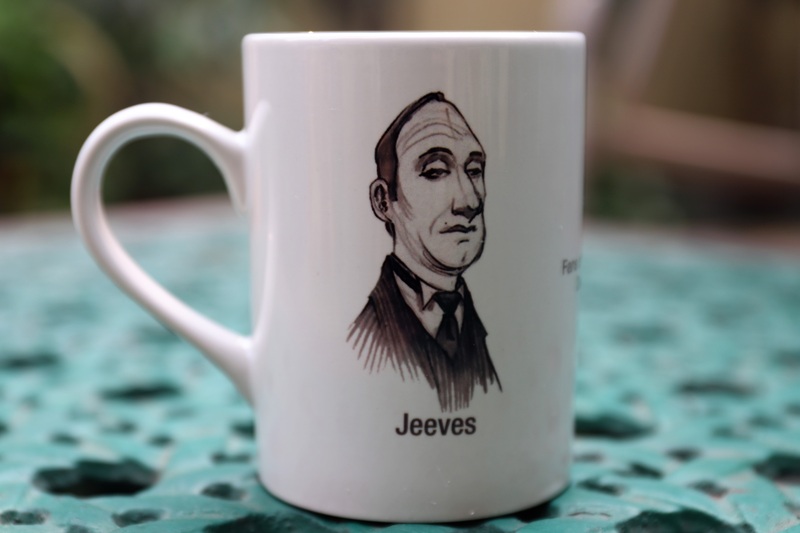 Instead, it was found to contain several Bertie-Jeeves mugs, which caused much merriment. All were eagerly lapped up. Joan Valentine, the coordinator of the group, trooped in precisely at 11.11 AM, so the meeting could get off to a flying start. A rendition of The Yeoman’s Wedding Song was promptly located and played out, declaring the proceedings open. Gladys Biggs turned up, accompanied by an impostor who turned out to be Clarence Mulliner. Technology having advanced, he did not need to squeeze bulbs and shoot photographs. While others got busy with much back-slapping and what-ho-ing, he quietly went about creating a visual record of the boisterous proceedings. Gladys unveiled a delectable collection of some exquisite hand-painted sketches themed around the works and characters of Plum. It transpired that the same had been done by her niece, Gwladys Pendlebury, who had burnt the midnight oil to dish out the entire collection. 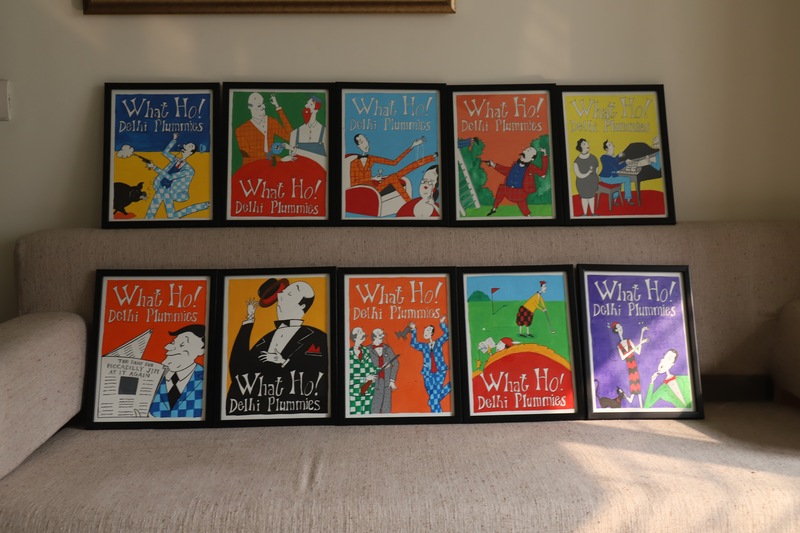 She had done so at Hyderabad at a very short notice, and had couriered the entire set to Delhi, where her aunt and family had lost no time in getting these framed. Understandably, there was much excitement generated. All those present lost no time to grab one each. Mr Mulliner too dropped in and regaled all those present with some stories of Bollywood producers and directors. A frequent traveller between Delhi and Mumbai, he proved to be a repository of Wodehousean wisdom. Ashe Marson materialized, wearing a Wodehousean golf cap, looking bronzed and fit. His demeanour and bearing demonstrated the power of Larsen exercises, coupled with brisk walks, cold baths and a strict diet regimen. An established author, he often gave the impression as if his grey cells were busy working out the next adventure of the famous detective Gridley Quayle. Florence Craye walked in, essentially to check as to what the excitement was all about and how the meeting was proceeding. Luckily, she did not appear to have any intentions of raising the intellectual level of those present. 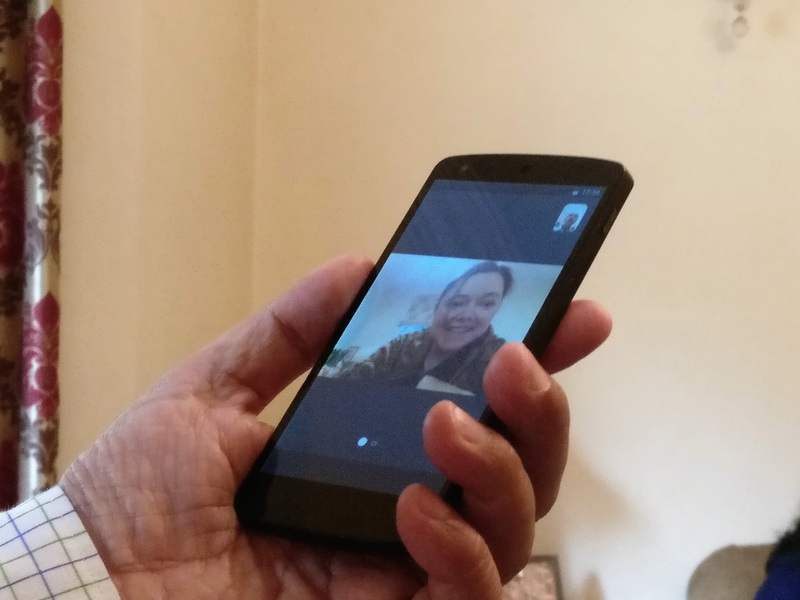 Honoria Glossop joined the NCR Plummies over Skype briefly from UK, adding to the sparkle. Despite these being early hours in the Queen’s country, that too on a Saturday, she took the initiative of chatting with all those present. Other than Plum’s works and characters, Spinoza and other literary figures also came up for discussion. Some openly shuddered at the challenge of exposing the coming generations to the unique pleasures of Plumsville. It was felt that many amongst us have inherited the germs of Wodehousitis from our previous generations. The group wondered if prompt efforts can be made through proper channels to identify suitable Plummy soul-mates for those who are not averse to taking a saunter down the aisle in the near future. Such an initiative would ensure a steady spread of Wodehousitis in the times to come. At such meets, continents and countries disappear. So do races, castes, creeds, gender, professions and income inequalities. Only the affliction known as Wodehousitis retains its relevance. Those who are turning green with envy need not fret. They would do well to brace up for the next gig, planned at the same venue, on Saturday, February 17, 2018.